Q: Where do I shop? While Coles and Woolworths are my main two supermarkets, I have a couple of online shops that I buy from as well. I might pay a little more for freight, but if you find a product that works for your gluten free eater, then it is worth it. In those early days of diagnosis, when gluten free was so overwhelming, I visited every possible local shop and deli searching for gluten free products. This was part of my research, to find out what our options were. In time, I have settled into a routine. We have in our minds, our ‘gluten free’ shopping list with where to buy the relevant product. Why is it that Woolworths only sell Burgen Gluten Free White Bread and Barilla Gluten Free Pasta whereas Coles only sells Jase’s small Gluten Free Pizzas. And sometimes it is easier to order my ‘Well & Good ‘ gf flours and bread mixes from Gluten Free Direct rather than have to make a special and inconvenient trip to a health food store inside our largest shopping centre. I’d like to think that there is merit in the concept of gluten free shoppers in small towns/suburbs forming co-operatives and buying online in bulk. My sons have warmed to the idea that this chicken IS better than KFC… so if you can’t buy LFGF Chicken Seasoning locally, then order it on-line. In bowl mix egg and water. Dip chicken in egg mix. Roll chicken in seasoning mix to cover. 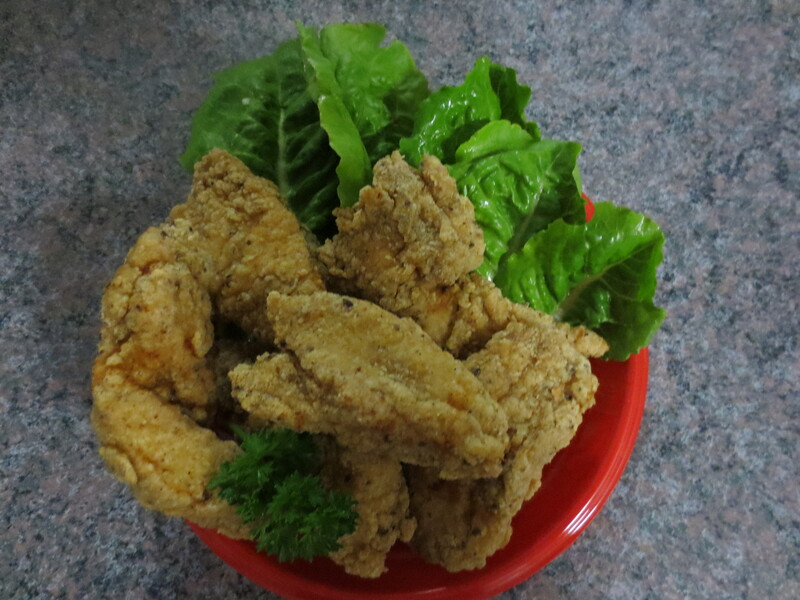 Heat oil in deep fryer on high and fry chicken in batches until half cooked. Put chicken to drain on kitchen paper towel. Return chicken to deep fryer until cooked. Drain chicken on paper towel.